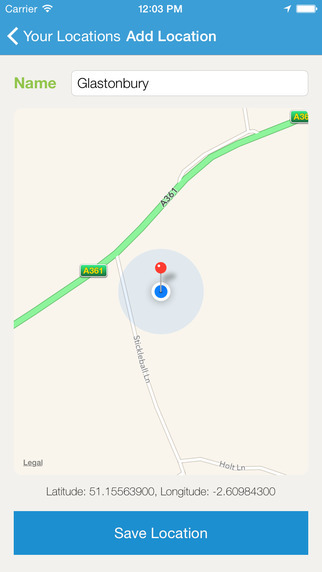 [prMac.com] Leicester, United Kingdom - Independent app developers, Swipe & Tap today is pleased to announce the release of Tent Finder 1.0.1, their new navigation app developed for iOS and Apple Watch. Tent Finder makes it simple for users to easily tag a location such as their camping spot or car location directly on their Apple Watch, which can be accessed later on to find your way back to your saved location. "There is one major problem when visiting festivals such as the Glastonbury Music Festival in England where over 100,000 people are camping. Due to the vast size of the site and people arriving later in the day, it certainly makes it a difficult task to find your tent at the end of a long day," explained Aaron Wardle, developer at Swipe & Tap. "We set out to take what was already on the market and innovate and improve it by making it accessible to the Apple Watch and as easy to use as possible. Simply launch the app on the Apple Watch and click Save Location and that's it!" Tent Finder 1.0.1 is only $0.99 USD (or equivalent amount in other currencies) and available worldwide exclusively through the App Store in the Navigation category. Located in Leicestershire, United Kingdom, Swipe & Tap is an East Midlands based independent mobile app development company. Started in 2011 Swipe & Tap strives to building amazing and unique apps to help streamline business processes and to build brand awareness within businesses. Copyright (C) 2015 Swipe & Tap. All Rights Reserved. Apple, the Apple logo, iPhone and Apple Watch are registered trademarks of Apple Inc. In the U.S. and/or other countries.